— You could say that "Columbia," the historic spacecraft that flew the first astronauts to land on the moon, has Pittsburgh under its skin. 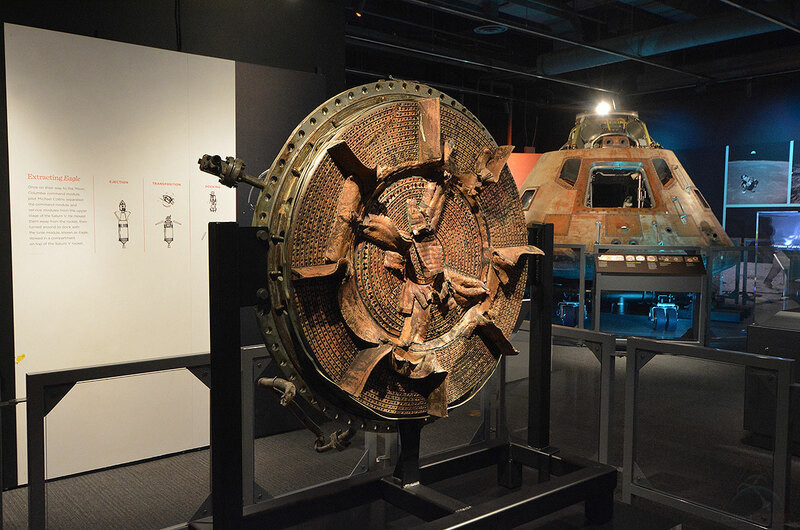 The Apollo 11 command module, which debuts to the public at the Senator John Heinz History Center in Pittsburgh, aka "Steel City," on Saturday (Sep. 29), has an outer structure made in part of steel. "When you see the objects in this exhibit, you see Pittsburgh everywhere," said Andy Masich, the president and CEO and of the Heinz History Center. "You see it in the steel. You see it in the aluminum. You see it in the glass. You see it in the stories of the people who all pitched in and used their creativity to put a man on the moon." 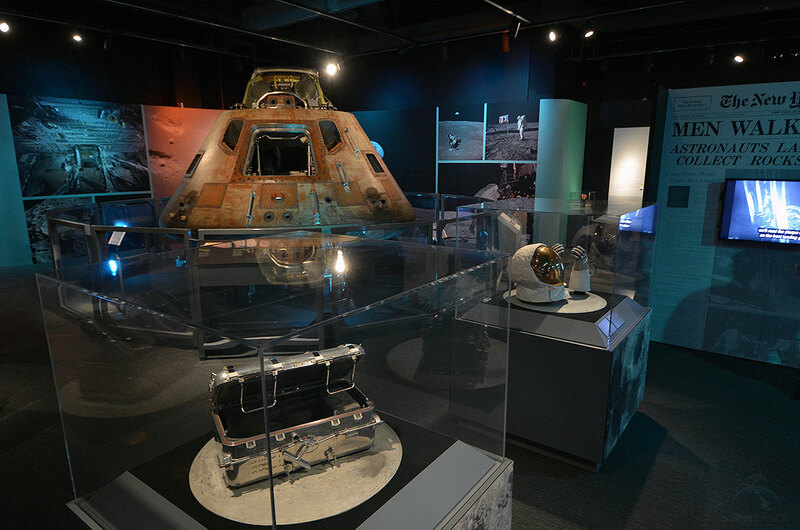 Columbia is the centerpiece of the Smithsonian touring exhibition "Destination Moon: The Apollo 11 Mission," which showcases more than 20 artifacts from the July 1969 first moon landing. 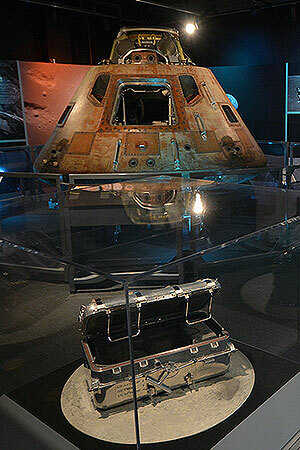 In addition to the command module, "Destination Moon" features a moon rock collection box, a fuel injector plate from one of the Saturn V F-1 rocket engines that launched Apollo 11 and, decades later, was recovered off the ocean floor, and the helmet visor assembly and gloves worn on the lunar surface by astronaut Buzz Aldrin. 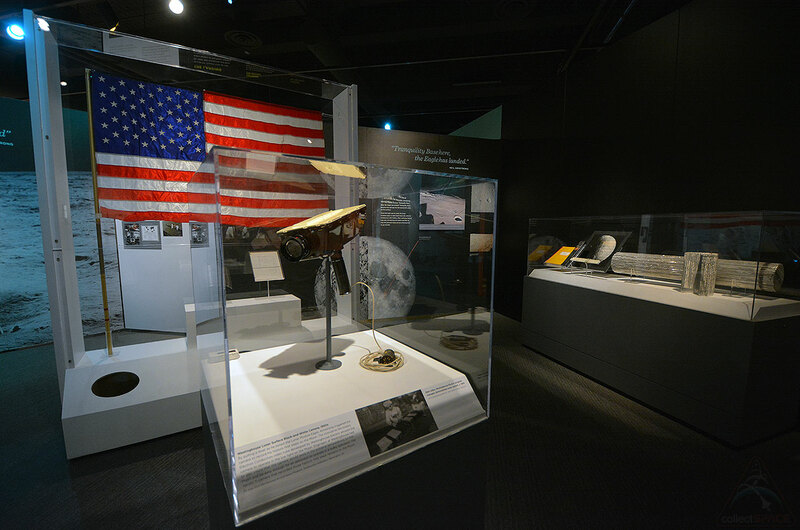 "It is a real honor here at the History Center and in Pittsburgh to have the 'Destination Moon' exhibit,' Masich told collectSPACE during a press preview on Thursday. 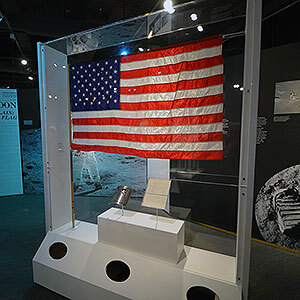 "It is complete with the Smithsonian's best stuff, including the Apollo 11 capsule that took Neil Armstrong, Buzz Aldrin and Michael Collins to the moon in 1969. This is an American treasure." Columbia's arrival in Pittsburgh marks only the second time that the capsule has been to Pennsylvania. 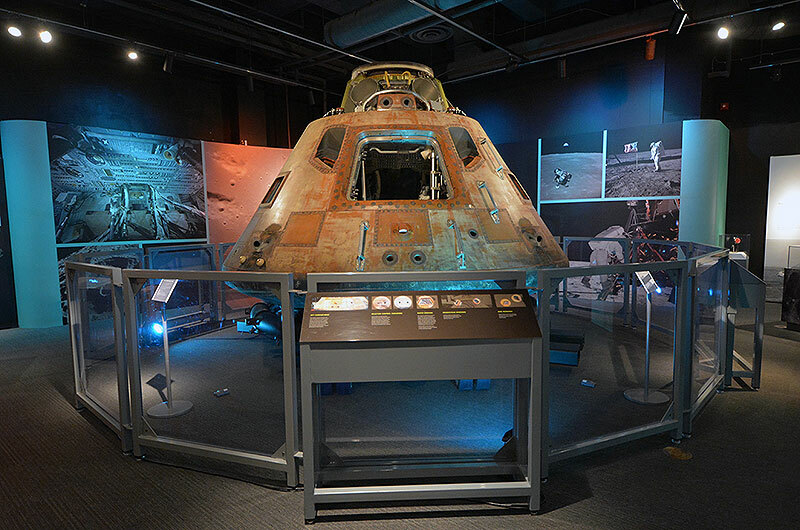 "Over the course of four days in October 1970, nearly 44,000 Pennsylvanians saw the command module when it was on the state capital's grounds," said Michael Neufeld, a space history curator at the National Air and Space Museum. "Now, 47 years after landing in the Smithsonian's collection, we are honored to take it on the road once again, leading up to the 50th anniversary." 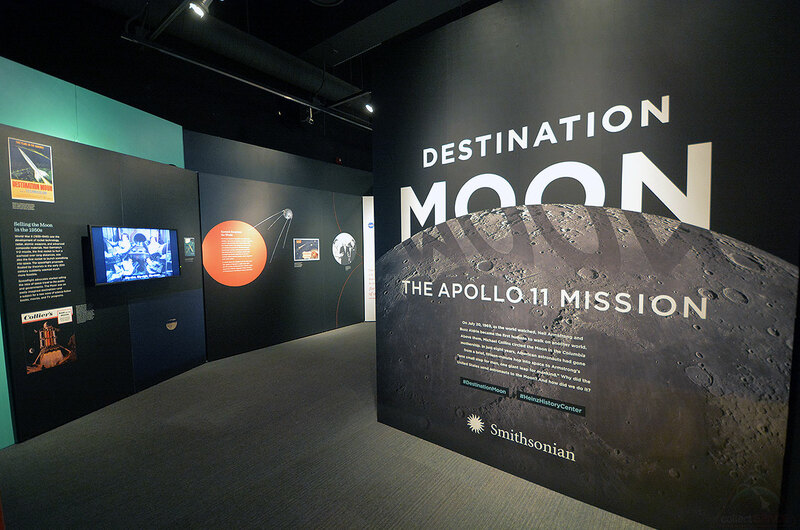 Launched in 2017 at Space Center Houston in Texas, "Destination Moon" was hosted by the Saint Louis Science Center in Missouri before moving to Pittsburgh. 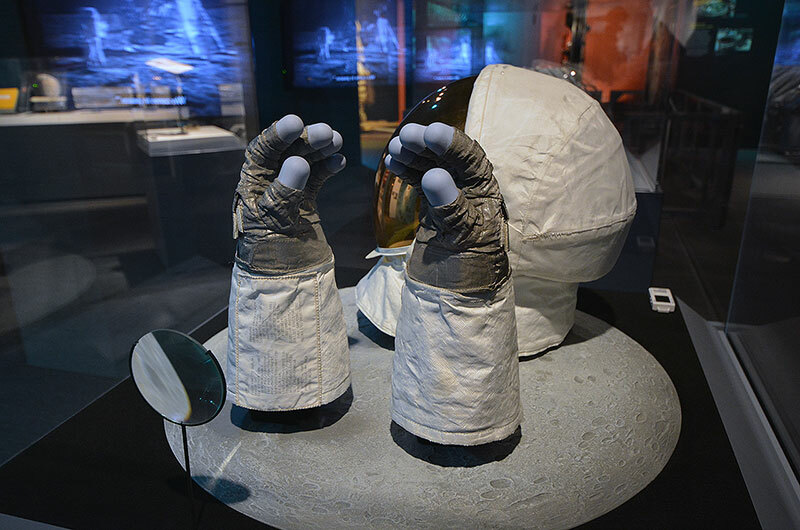 The exhibition will run through Feb. 17 at the Heinz History Center and then will move to The Museum of Flight in Seattle, Washington, where it will be on display when the nation marks 50 years since the Apollo 11 mission. "The National Air and Space Museum is amidst of a major transformation to its permanent galleries. 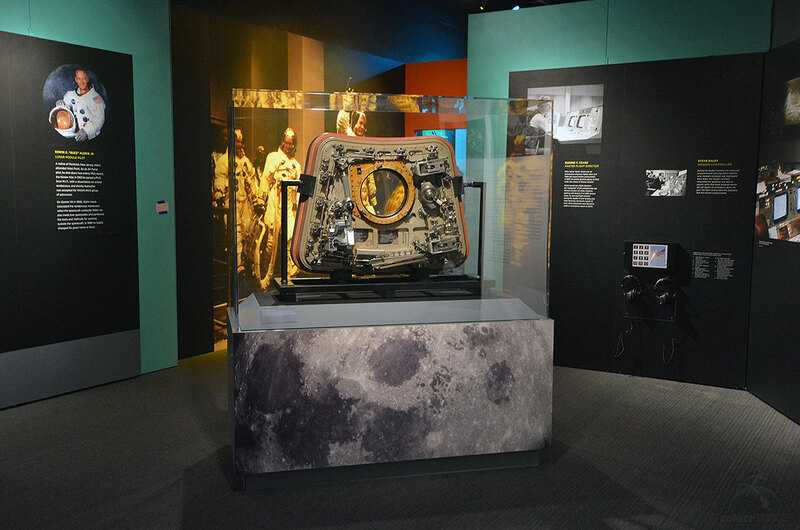 While that work is being done and as we approach the 50th anniversary of one of the greatest achievements in human history, we are very happy that we can share the iconic Apollo 11 command module Columbia and other key artifacts from the first mission that landed humans on another planetary body," said Neufeld. "Destination Moon is an exhibition that celebrates the mission while putting it into context with the question, 'Why did we go to the moon?'" 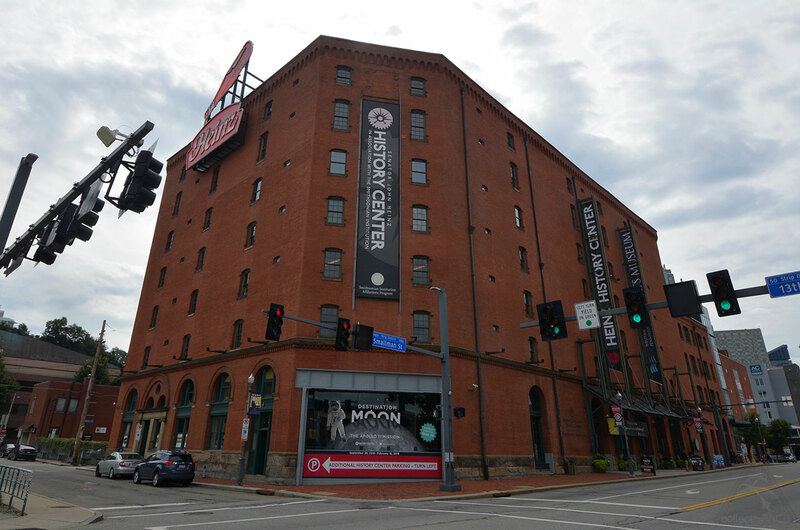 The Senator John Heinz History Center, which is the largest history museum in Pennsylvania, presents U.S. history with a Western Pennsylvania connection. "A lot of people don't realize how many Pittsburgh connections there were to put a man on the moon," said Masich. 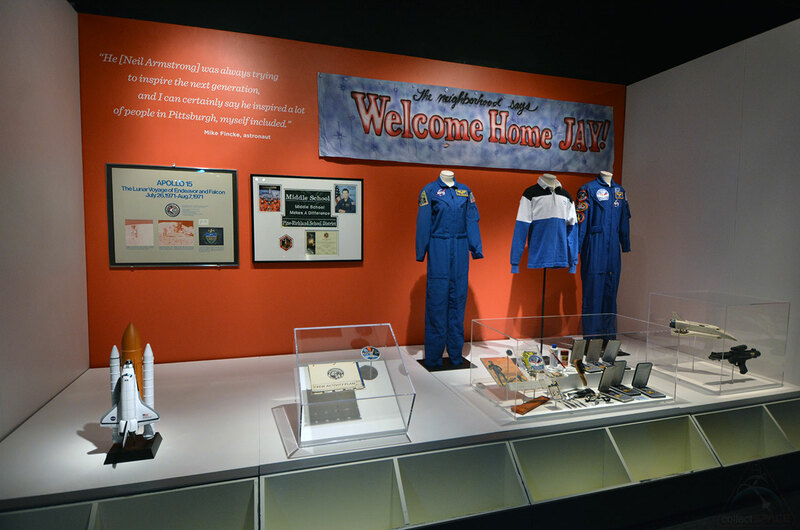 To celebrate and educate the public about the city's place in Apollo history, the History Center has augmented the Smithsonian-loaned displays with artifacts and exhibits that illustrate the role Pittsburgh played in the Apollo 11 mission. 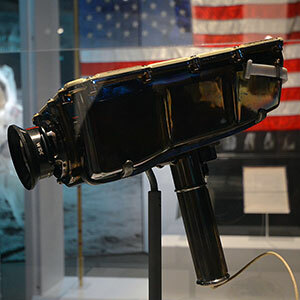 Among the additions is a prototype black and white television camera developed by Pittsburgh-based Westinghouse Electric. "Westinghouse made the cameras that brought you those very first images of Neil Armstrong making a 'small step for a man, one giant leap for mankind,'" explained Masich. 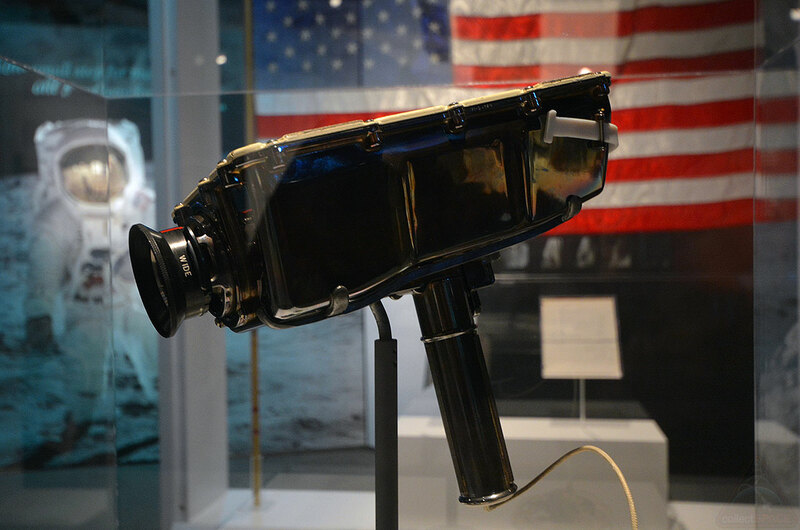 Also on exhibit are relays from WABCO's Signal and Communications Division (now Union Switch and Signal) that were used in the command module; lunar module components made from Alcoa aluminum; and an example of the U.S. flag assembly that was planted by Armstrong and Aldrin at Tranquility Base. 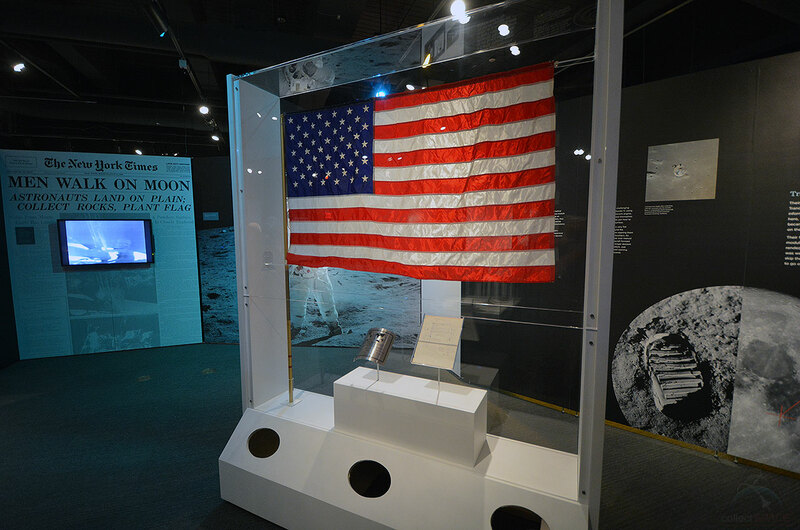 "The flag that is on the moon, they left it behind with the lower portion of the lander. But that flag assembly was devised by a Pittsburgh native named Jack Kinzler," said Masich. "He came up with the telescoping aluminum pole with a cantilevered arm at the top that enabled the U.S. flag to stand out straight, as if it was flying in the wind. As everyone knows, there is no wind on the moon." Other Pittsburgh connections to Apollo include the American Bridge Company, a subsidiary of U.S. Steel; North American Rockwell, the contractor that built the command modules (most of the work was done in California, though its corporate headquarters were in Pittsburgh); and Mine Safety Appliance Company (MSA), which developed the breathing apparatus the Apollo 11 astronauts wore after they splashed down to protect Earth from any possible "moon germs." 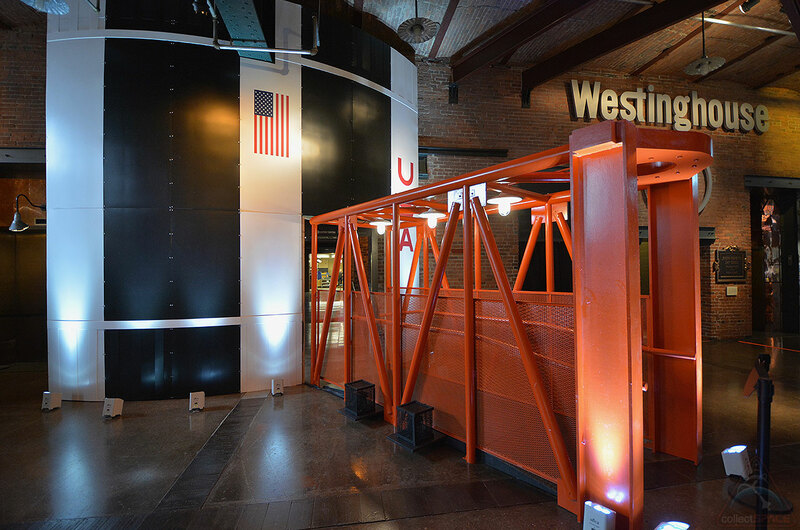 The Heinz History Center is also using "Destination Moon" to show how the region is continuing to advance lunar exploration. 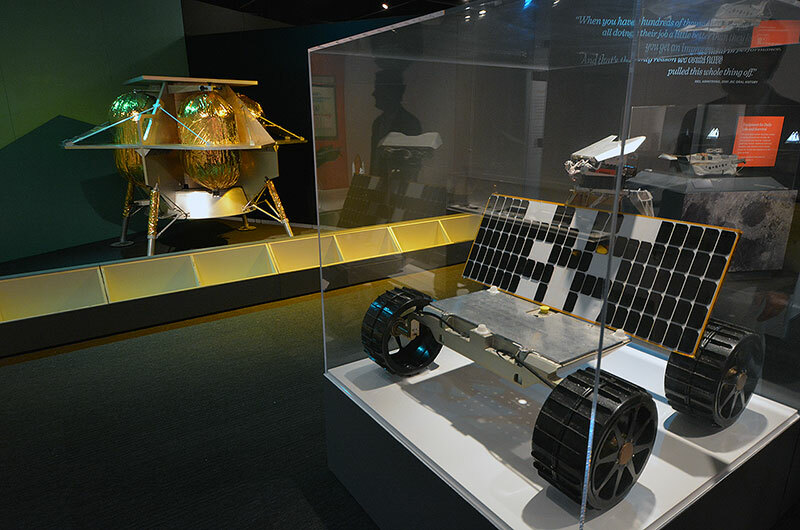 The exhibit includes a robotic rover and Peregrine lander developed by Astrobotic, the Pittsburgh-based company founded by Carnegie Mellon University roboticist Red Whittaker. 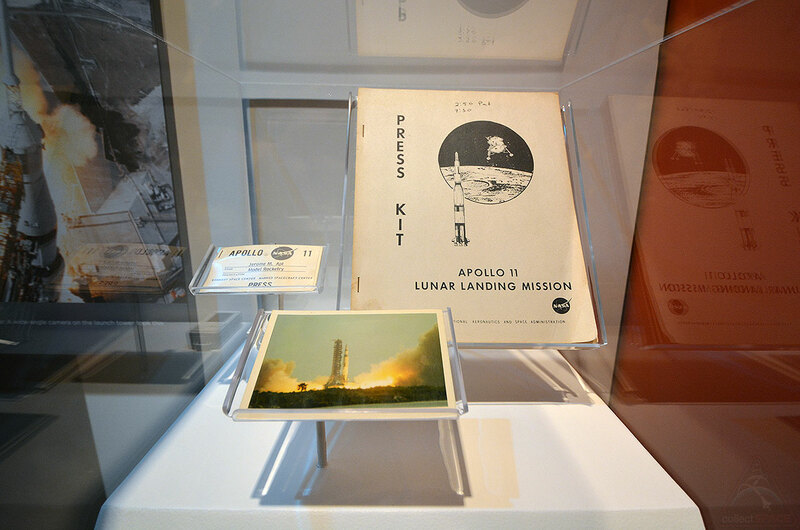 For more about the "Destination Moon: The Apollo 11 Mission" exhibition at the Senator John Heinz History Center in Pittsburgh, see the museum's website.